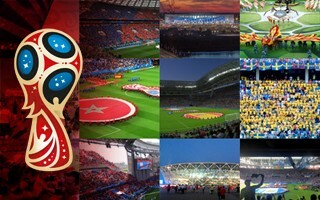 Russia 2018: Your World Cup moments on StadiumDB! As you've surely noticed, our 2018 World Cup section has separate presentation for each stadium, which includes not only its data and description but also images directly from the tournament. First ones from the opening game at Luzhniki, most recent addition just several hours old, the brilliant panorama from Spain vs. Morocco cliffhanger in Kaliningrad. Since we're not travelling to Russia ourselves, we rely on contributors from users like you to recreate the best bits of this summer's tournament. If you've been to Russia and would like to see your photos of the stadiums, games and atmosphere on StadiumDB, please feel welcome to send them our way. You can use either email, messages to our social media profiles (facebook and twitter) as well as joining our flickr.com group, where lovely people from around the world have already created a massive bank with photos. 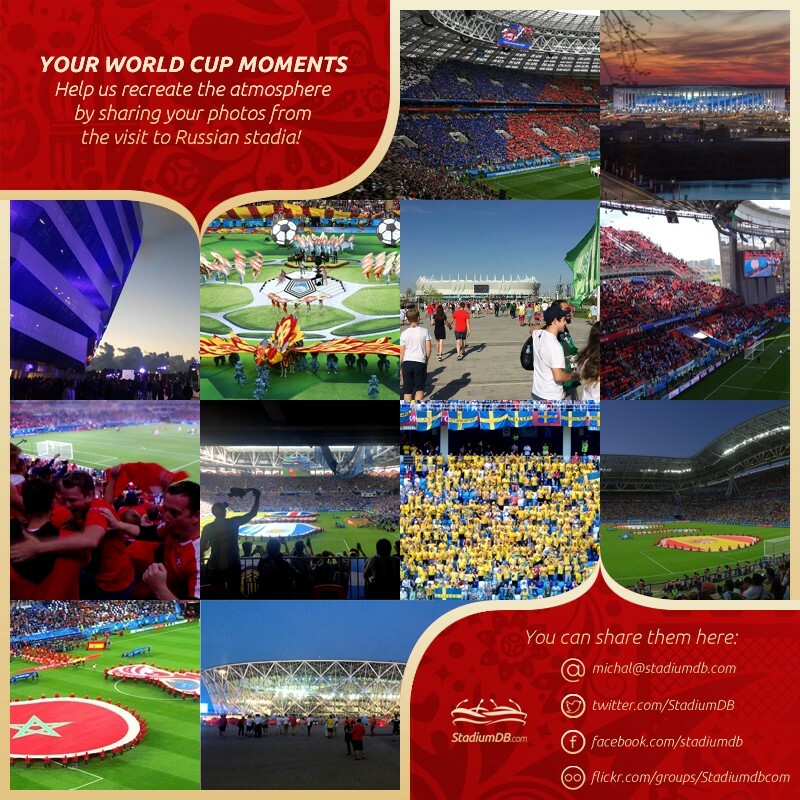 Should you decide to send the images from your Russia trip, just let us know which game they consider (sometimes it's not immediately clear) and how they should be signed if used on StadiumDB. Because we like to focus on depicting the stadia and atmosphere, we're less likely to share selfies or images of players with our readers, which we hope you'll understand. And, of course, only photos taken by you personally and released for StadiumDB use can be published.